West Plains, Mo. – The Associate of Science in Nursing (ASN) degree program at Missouri State University-West Plains has received “continued accreditation” from the Accreditation Commission for Education in Nursing (ACEN). University officials received formal notification of the decision from the ACEN Board of Commissioners in August following a self-study report and site evaluation visit in February. The recommendation to award continued accreditation status to the program came during the commission’s July meeting. The term of the recommendation is for eight years, the maximum allowed. “Accreditation is a time-consuming and extremely involved process. It takes the entire institution to create a well-drafted self-study report and host a successful site visit. We appreciate all of the faculty, staff and students for helping us to be successful in this process,” said Amy Ackerson, assistant professor of nursing and division chair for nursing and allied health at Missouri State-West Plains. “We at Missouri State-West Plains are incredibly proud of our outstanding nursing program and its stellar record for nursing student passage rates on the licensure exam,” Chancellor Shirley Lawler said. “Our nursing students are highly sought after by area medical facilities because our graduates have a reputation for having an excellent skill set. “We have dedicated nursing faculty, and they have just received a strong stamp of approval from the ACEN when they were granted continued accreditation for eight more years – the longest period possible,” the chancellor added. In its evaluation ACEN officials noted the “exceptional student services that address the needs of students, particularly in the area of healthcare and legal services” as an area of strength for the program. Because of quality support services for students, faculty can fully focus on teaching the skills and techniques needed to train the next generation of nurses, Ackerson pointed out. “The nursing program is successful due to the committed faculty who work tirelessly to keep the program of the highest quality possible.” Ackerson said. “Unwavering support” from clinical partners also is crucial for a successful program, she added. “The investment in our program by Ozarks Medical Center, Willow Care Inc., Physical Therapy Specialists Clinic and others too numerous to count is vital to the success of our students,” she stressed. 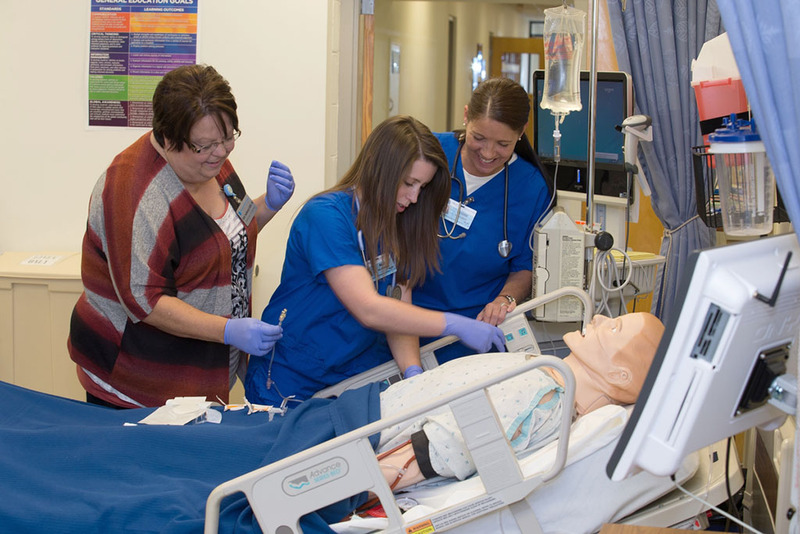 Of the 33 associate degree-granting nursing programs across the state of Missouri, only 12 – including the ASN program at Missouri State-West Plains – are accredited. Missouri State-West Plains’ nursing program was established in 1983 and received initial accreditation from the National League for Nursing Accrediting Commission (NLNAC). It received continued accreditation in March 1994, July 2002 and again in June 2010 when it received the maximum accreditation term of eight years. Since the visit in 2010, the NLNAC has changed ownership and been renamed the Accreditation Commission for Education in Nursing (ACEN). For more information about the nursing program, call 417-255-7739.